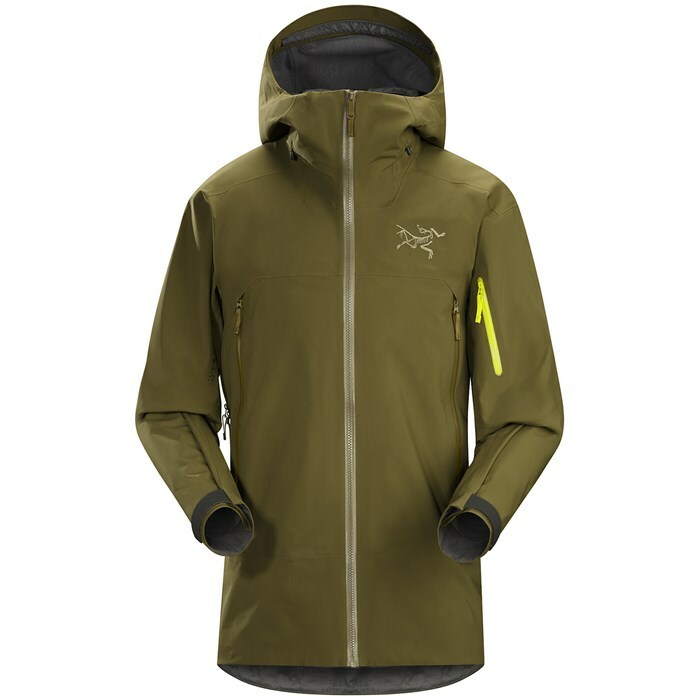 Part of Arc'teryx Freeride line, the Arc'teryx Sabre Jacket is a super waterproof shell with a soft, polyester flannel lining for comfort. For ripping big lines at your local hill, the Sabre has a high-denier, durable face fabric that is highly resistant to wear. This year, the Sabre has been restyled with a relaxed fit, providing unparalleled comfort and mobility. With plenty of convenient pockets and WaterTight™ zippers, this jacket is sure to keep you warm, dry and happy for many winters to come. GORE-TEX  Guaranteed to Keep You Dry. The GORE-TEX membrane is an extremely thin layer of expanded polytetrafluoroethylene (ePTFE). It has over 9 billion pores per square inch, large enough to let water vapor exit but small enough to prevent liquid water from entering. Relaxed Fit  Relaxed fit garments rely on both articulation and higher volume patterns to provide comfort and mobility and offer plenty of room for insulating layers underneath. DropHood™  This helmet compatible hood has a stand alone collar and separate hood. The DropHood™ can be cinched with one-handed drawcords, allowing it to rotate with the head without obscuring vision when turning from side to side. Front zipper protects chin and neck from wind, snow and rain.